Experienced professional home improvement experts. Start Your Free Online Quote Now! 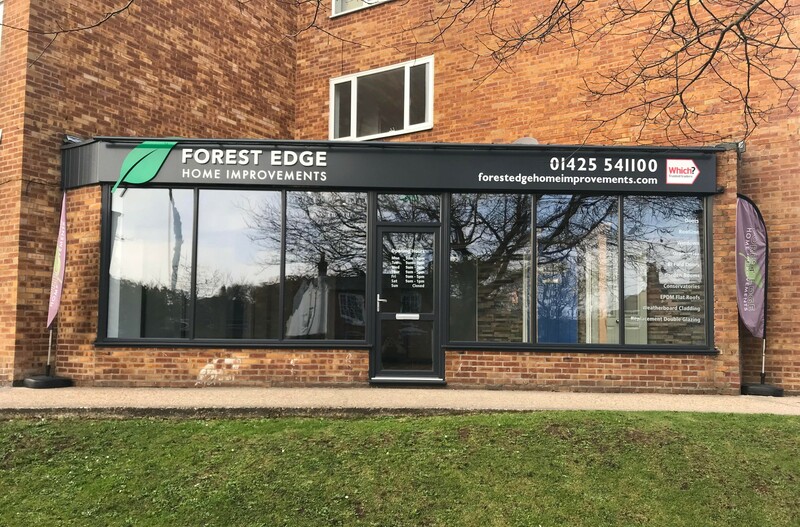 Forest Edge have over 30 years of experience and are specialists in double glazing. The two company directors have been working closely together for the past decade, perfecting their knowledge and skills as qualified surveyors and installers within the industry. Based in Lymington but covering the whole of Hampshire and Dorset, we provide a bespoke service by reliable and professional installers. Our services range from replacing misted up glass units all the way through to complete new build conservatories. Forest Edge is a conservatory specialist company in Dorset and Hampshire. We utilise cutting edge technology which enables us to provide you with a computer-generated image of your new conservatory, along with a competitive price within minutes of meeting you. We are committed to ensuring that our comprehensive range of UPVC and aluminium windows, doors and conservatories are of premium quality. Built and fitted to your precise specifications, every installation is completed to the highest possible standards. As a company that values its customers and prides itself on delivering quality, we provide all relevant documentation and ensure that all window and door installations are FENSA registered and all conservatory installations comply to the current regulations. We also offer an IWA insurance backed guarantee and deposit protection guarantee which gives our customers peace of mind. We understand that your home improvements are a big decision and investment, and do everything we can to make it a smooth process. As well as incredible quality, we are proud to offer homeowners in Hampshire and Dorset fantastic home improvements at affordable prices. Our amazing range of products enable everyone to have their ideal double glazing no matter the type of home or size of budget. Our range of incredible windows come in uPVC and aluminium to provide homeowners with the options to best suit any type of property. The doors we offer are available in uPVC, Aluminium, traditional hardwood or composite doors to provide a full range for homeowners. We are conservatory experts and as such we can offer the most comprehensive variety of conservatories around Hampshire and Dorset. Not quite an extension, and not quite a conservatory, orangeries offer a cost effective alternative to extensions that are extremely versatile. We supply and install ‘Firestone EPDM’ rubber flat roofing system, which offers incredible benefits such as durability and fire resistance. We specialise in offering high performance double glazing and market-leading conservatories throughout the New Forest and in Lymington, New Milton, Hythe, Totton, Ringwood, Highcliffe, Beaulieu, Brockenhurst, Hampshire, Dorset, and surrounding areas.